Prince shot a commercial for Target on Friday in Los Angeles. 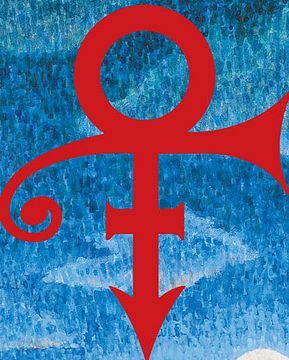 Prince is due to release 3 CD’s thru Target and his web site , Lotusflow3r.com on March 29th, 2009. The 3 cd’s will be two by Prince entitled Lotusflow3r, and the other familiar to Drfunkenberry.com members, MPLSOUND. The 3rd will be by Bria Valente entitled “Elixer” which is produced by a certain someone to have that Minneapolis Groove. The Cd’s look like they will be sold as a pack, the artwork and lyrics available online. I did not have a chance to ask one of the web designers if it will down-loadable. A doctor likes to print out his lyrics man. As for the video shoot, it went well and was shot at Universal Studios and it was a closed set. How did we hear about it then? We have our ways. The commercial features Prince and Bria Valente and should be airing within the next couple of weeks. We hear they may have some footage of it up sooner or his own web site. Also, for that thing we thought was a cell phone at the Avalon show, is actually a Lotus Flow3r branded flip video camcorder. Looking forward to another purple experience. Hops it’s worth the wait. Man I can’t wait for these CD’s to come out! And it’s affordable too! Prince, you really do think about your fans! Prince ROCKS!!!!! This will be a great month, just gotta get the computer out tha shop! Thanks Doc for the news! I look forward to that all this begin: site, CDs and concerts!!! Hmmm I Hope I can buy the cd’s.. A bit worried that I won’t be able to buy them. Will have to wait and see I guess. Would love to see the commercial 😉 . Much love and a big hug for Prince. Great. Target is my Favorite store and I cannot wait for his new cds. Wow! Two great club shows in six days and now this. Looks like 2009, the 25th anniversary of Purple Rain, is going to be a very special year. I wonder where it will be available first? To online customers or at Target? The Times sure have changed for fans of the purple feathered one. Auh!!! I just purchased a Flip last week!! Well at last, a release date! But wait a minute, a 3cd set with no artwork, no booklet, no lyrics & all ? I mean w*f !? In those days of cd sales decline, packaging should be attractive with colourful booklet & fancy design, don’t you think? if not, why bother buying cds ? Amazing! Can’t wait. Hype meter is in overdrive over this! This is incredible and looks like Prince is actually pushing forward with something full speed unlike many other past ventures of recent. Good to see him going Target on things…nice!!!! And I will sh*t if we get a lot of vault material as speculated!!! !